ASIATECH - WEB DESIGN & WEB DEVELOPMENT? 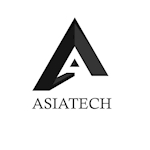 We are the team of asiatech design and development professionals who love partnering with good people and businesses to help them achieve online success. We’re focused on honing our crafts and bringing everything we have to the table for our clients. We create custom, functional websites focused on converting your users into customers. Each of us loves what we do and we feel that spirit helps translate into the quality of our work. Working with clients who love their work combines into a fun, wonderful partnership for everyone involved.